Calculating the capital gain or loss on the sale of stock investments requires you to ascertain the tax basis for each share. However, calculating the tax basis increases in complexity when selling a group of identical stocks that you purchase in a series at different prices. The Internal Revenue Service provides clear guidance on how you must allocate the various prices to each share when selling only a portion of the stock portfolio. 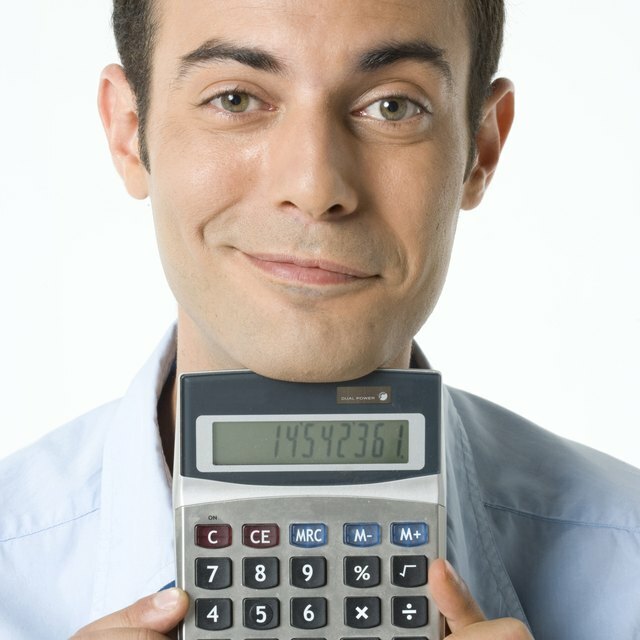 When you sell a portion of your stock investments, allocating the correct basis to each share you sell is important in order to accurately calculate the capital gain or loss. The basis of your stocks is equal to the market price at which you purchase each share, plus the commission charges you pay to a broker to execute your trades. However, when you purchase shares of stock in a series, such as purchasing identical stock at different times and prices during the year, you must adhere to the IRS ordering rules. If you are like most taxpayers, it’s not possible to identify the specific shares of stock you are selling when you retain additional shares in the company after the sale. In this case, the IRS requires that you sell shares in the same order you purchase them, with the shares you own for longer periods selling first. For example, assume you purchase 100 shares of Coke at $10 per share and one month later purchase an additional 80 shares at $12 per share. If you decide to sell 140 shares of Coke, you must use the tax basis for the first lot of 100 shares and 40 of the second to calculate your gain or loss. This means that you are selling 100 of the $10-shares and 40 of the $12-shares. Since you include broker commission charges in the tax basis of your stock, selling a portion of your holdings in a company requires that you allocate the appropriate percentage of commission fees to the stocks you are selling. Continuing the Coke example, suppose that your broker charges $50 to purchase the first 100 shares and $40 for the second lot of 80 shares. Using the same first-in, first-out principle, you can include the entire $50 commission in the tax basis of the shares you sell. However, you must allocate half of the $40 commission to the remaining 40 shares you sell since it represents 50 percent of the second lot of Coke shares. Overall, this allows you to include $70 of commissions in the tax basis. If you sell your entire stock holdings in a Coke, but you purchase the shares at varying prices on different dates, calculating the tax basis of the shares for purposes of computing your gain or loss simply requires that you total all prices and commissions, regardless of the number of years you make purchases in. In this case, it’s not necessary to identify the specific tax basis of each share of stock since after the sale you no longer hold any Coke shares.